Trois Rivières Cuvée de l’Océan ("The Ocean Bottling") comes from sugar canes grown right on the waterfront, imparting a salty and iodized taste to the rum. 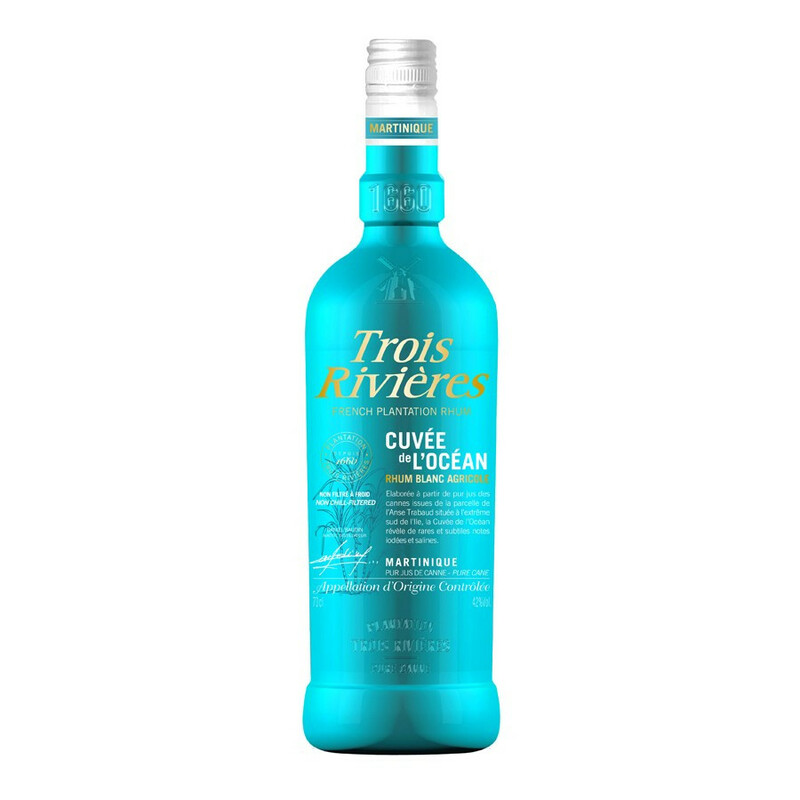 Trois Rivières Cuvée de l’Océan ("The Ocean Bottling") comes from sugar canes grown right on the waterfront, imparting a salty and iodized taste to the rum, on the sunny lot of Anse Trabaud, in the Southern part of Martinique. This geographical characteristic, together with fermentation techniques devised by the Master Distiller, gives a unique mineral, iodine and briny taste to Cuvée de l'Océan. A standout rum. Colour: colourless and clear. Thick structure. Nose: marked with a seducing floral fragrance of cane flowers, contrasted with mineral and briny hues. Light notes of bread dough and yeast appear when you let it breathe. Palate: bold, rich and dense and remarkably mineral. The seafront is close by and marine fragrances mingle with the sugar cane vegetal notes. Finish: long and unparalled, winding between mineral and briny flavours.